Benefits, Indications: Used for dandruff, greasy hair, muscular aches and pains, neuralgia, poor circulation, rheumatism, sprains, strains, colds, flu, infectious disease. It helps in the reduction of cellulite. Used to warm, stimulate the scalp, improve circulation, stimulate digestion, reduce stress. In the emotional sphere bay oil, one of the most powerful tonic essential oils, may help to eliminate depression symptoms and the complex consequences of prolonged fatigue. This oil warms, calms after unpleasant events and eliminates despondency. West Indian Bay may also help to cope with the pain, loss and grief. It is purported to be an excellent natural antidepressant, and blood pressure stabilizer. 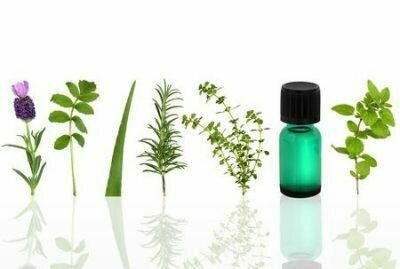 This essential oil is also one of the best antimicrobial essential oils, according to a study that compared the antibacterial and anti-fungal properties of more than 52 essential and carrier oils. The study showed West Indian bay oil inhibited drug-resistant microbes at concentrations lower than 2 percent. Precautions: Not for internal use. Avoid while pregnant. Avoid Bay Oil in alcoholism, in hemophilia, in prostatic cancer, with kidney and liver problems and if taking anticoagulants.